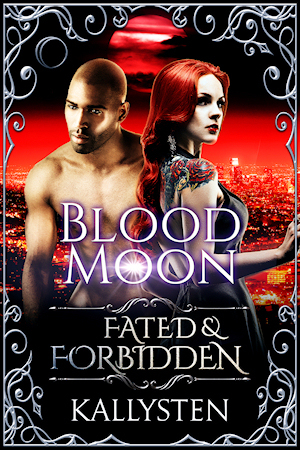 NOTE – as a prologue, this story introduces the characters and sets up the challenge at the core of the Fated & Forbidden series. It does not resolve anything. The series includes 11 books, all of them standalone stories. They can be read in any order. When Zaan sensed power gathering across the world, he followed his instincts all the way back to Allendra. He already knew what she was planning to do just as he knew he would not be welcome after centuries of estrangement. He soon finds out he’s right on both counts. After he pleads with her to change her mind, Allendra challenges the breeds they created together. They will have to choose love over everything else before the Blood Moon, or risk losing their powers. Zaan realizes he, too, has a role to play here… but is it a role Allendra chose for him, or did he get caught in the challenge by accident? NOTE – While this book is the conclusion to the Fated & Forbidden shared world series, it can be read as a standalone with the prologue.